The Gateway To Forever™ program will drive wedding set sales to your business. This turnkey license gives you everything you need to establish your store as the place to go for any and all bridal jewelry needs. We’ll provide you with all the necessary scripts, brochures, and promotions so you can offer special deals and discounts at the very best local wedding service providers when they buy a bridal set from you. With an offer that your competitors can’t match, your customers will want to participate in The Gateway To Forever™ program and save potentially thousands of dollars on their wedding. For most jewelers engagement rings are an important part of your business. So important, that most jewelers compete fiercely for the business, sometimes at the cost of meaningful profits, and almost always creating confusion in the consumer about where to go. In other words, the aggressive advertising among jewelers to win bridal business tends to cancel each other out. Part of the trick is to differentiate yourself from the competition. The second part is to maximize profits while remaining competitive. This approach helps youbecome something of a “wedding central” for engaged couples, and may prove to be your solution to both challenges. In other words, the first place a couple about to become engaged will go is to the Jeweler for the engagement ring. Only after the formal engagement do they turn to photographers, reception centers, dress-makers and formal wear shops, caterers, travel agents, etc. As the gateway, you have an opportunity to help solve all of their challenges at once, profit in the process, and stand out from the crowd of other jewelers who are simply trying to “hawk” a bridal set. That is what this promotion is all about. 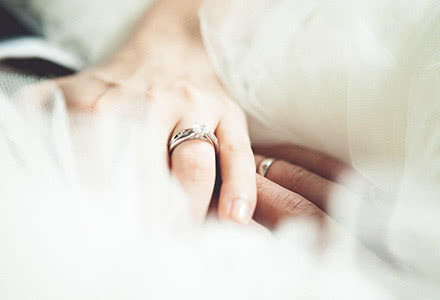 The way to do it is to establish a win/win/win joint venture with vendors in all categories of wedding services, that provides a good deal of savings for your client, new clients for your JV partners, and maybe even a “finder’s fee” or commission from each vendor to whom you send a client. Inside your Gateway to Forever turnkey package, you’ll find all the materials, scripts, documents, and more that you need to approach potential JV partners and build long-term, profitable partnerships. License the entire Gateway to Forever System for just $2,500/year.